The HP SC11Xe Host Bus Adapter provides customers with the flexibility and speed they have come to expect from HP. 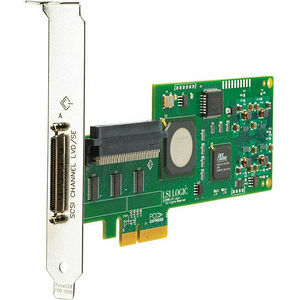 This HBA is ideal for HP tape customers needing to attach Ultra320 tape backup devices on servers using the PCI-Express interface, and provides support for Ultra320 SCSI, Wide Ultra3 SCSI, and Wide Ultra2 SCSI protocols. It is the primary building block for SCSI backup solutions that provide the maximum of 320 MB/second bandwidth, twice the speed of previous-generation SCSI adapters.